A little while ago, my mum and I were having a mooch around boots and stocking up on some essentials when, as always, I found myself becoming a human canvas testing out all the Collection lipsticks. 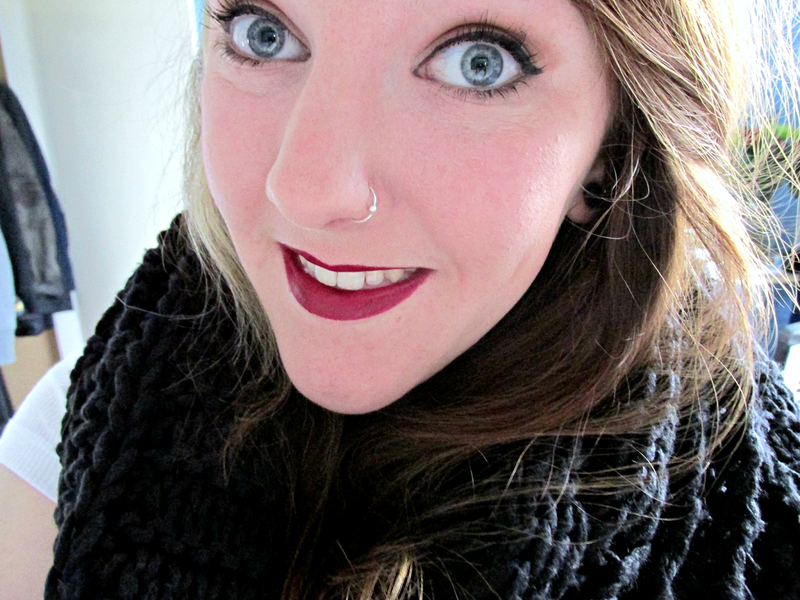 I’ve been a fan of Collection Cosmetics for years now and their lipsticks never disappoint! See here, here and here. I know I bang on about autumn all the time, but if there’s one thing that beats all my other reasons for loving this season so much, it’s the make up. I’m sure I’ve mentioned this before, but a couple of years ago I was never really a fan of lipsticks, I just felt as though I couldn’t pull it off because of my teeny-tiny top lip, but with the help of YouTube and a couple of fab beauty tools, I think I can almost get away with it now. I love a deep, berry shade, so you can imagine my excitement when I found Collection’s Lasting Colour Lipstick in shade number 13, Aubergine Kiss. Isn’t it dreamy?! It does appear a lot darker in the bullet to how it actually transfers onto the lips. It’s fairly similar to their Gothic Glam range of shades, which are all equally as gorgeous. All of the Collection lipsticks that I’ve managed to get my paws on are really long lasting, hence the name I suppose, and don’t dry my lips out, which always makes them a winner! It doesn’t have a matte finish to it but it’s not super glossy either.. it’s somewhere in the middle, is there a word for that? Yes? No? Let’s not forget that the Collection lipstick’s are only £2.99 at boots, absolute bargain! Have you tried this shade yet? 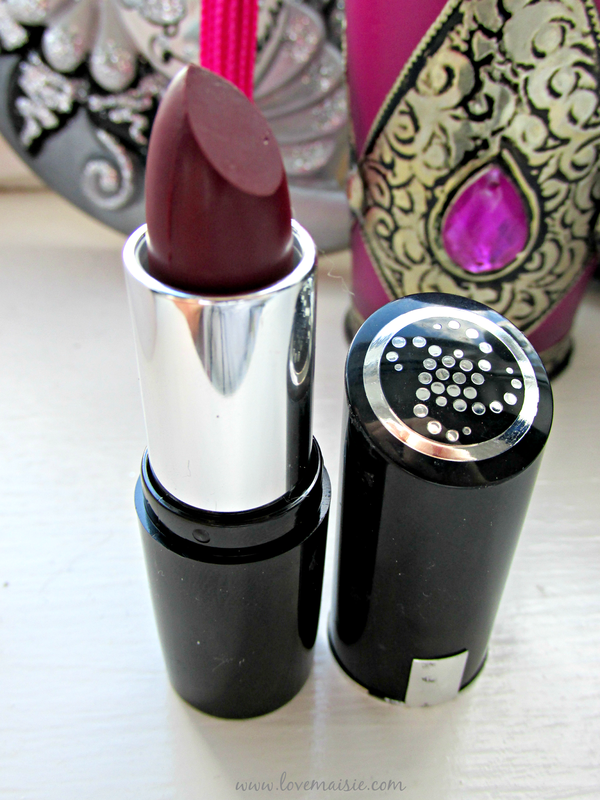 Or any of the other Collection Lasing Colour lipsticks? What did you think, do you rate them as highly as I do? Let me know! I've never actually tried any of Collections lipsticks before, but I am so tempted to pick this one up, Iove the shade so much. Looks fab on you too! Oh wow this shade is absolutely stunning! 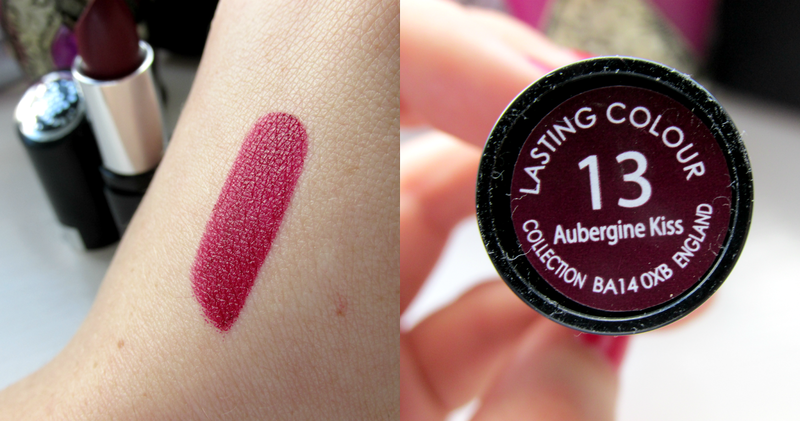 I might just have to pick up this shade for myself, as I am so into berry shades for fall and winter as well. I really rate all of collection's lipsticks! So ridiculously cheap but so good!